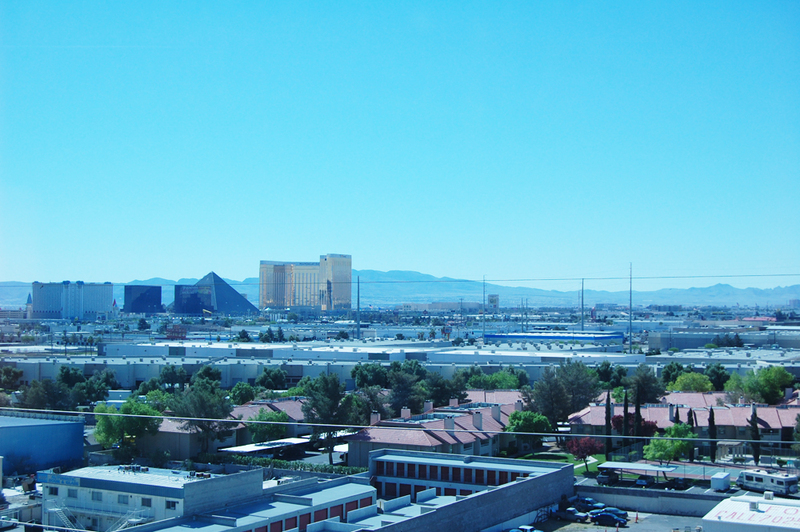 Viva Las Vegas: Day One! 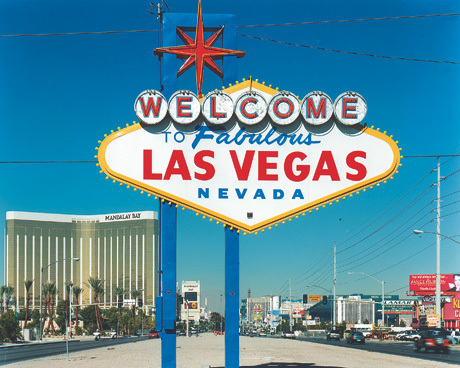 As many of you know I just got back from California, but before I headed farther west I made a pit stop at Las Vegas to attend the Viva Las Vegas Convention. 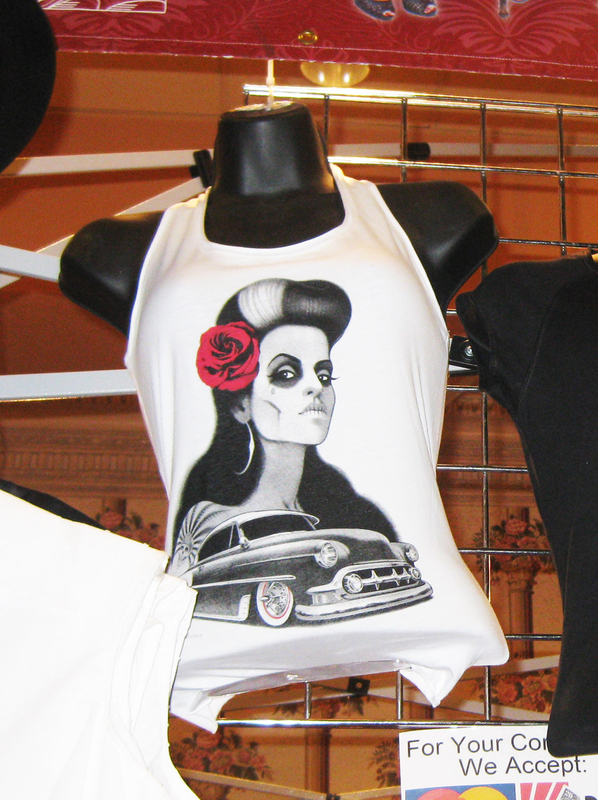 My momma traveled with me as she loves the rockabilly scene as well and has never been to Vegas. Plus she is totally my best friend and coolest mom ever. 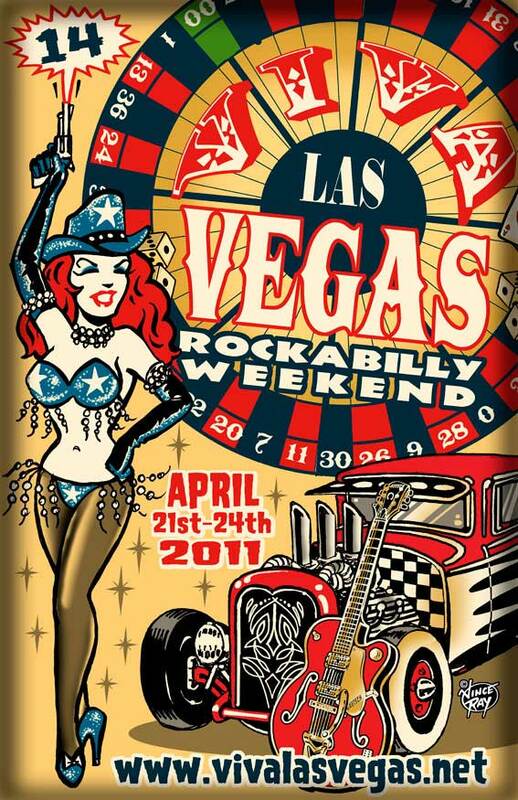 VLV is a rockabilly convention that is held every Easter weekend. I look forward to it every year and this year I was even more ecstatic because I missed it last year :/. 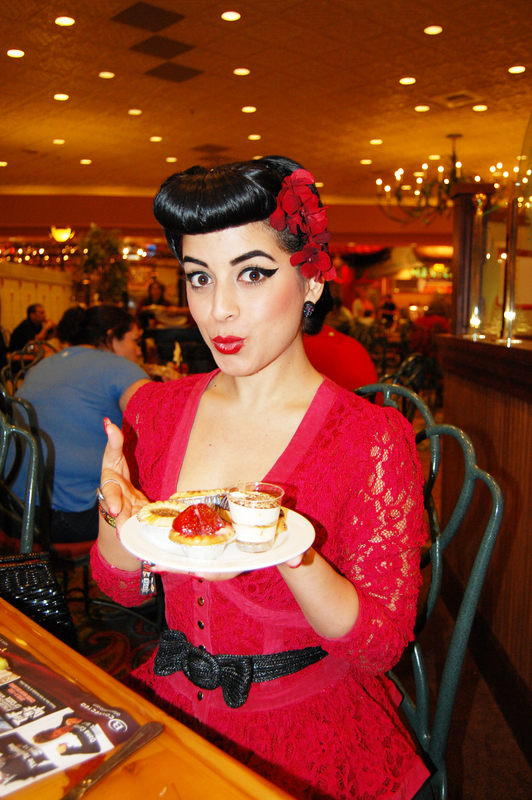 This convention has burlesque shows, fashion shows, car shows, pool parties, vintage vendors, amazing bands, and more. It is like traveling through a time machine; women are dressed in 1940s-60s attire and the men too. Everywhere you look there are classic cars and bikes parked everywhere. 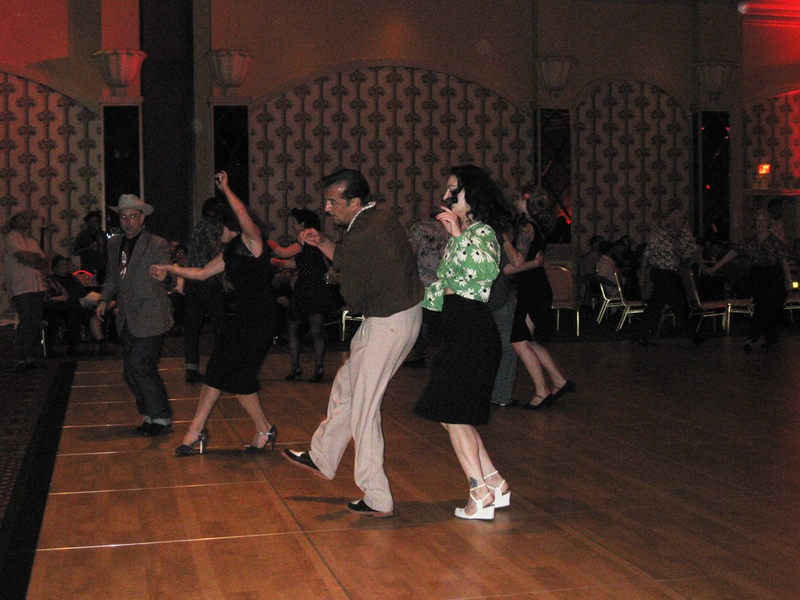 My favorite moment is when I see people jiving, bopping, and strolling to the rockabilly bands. It is just an unbelievable experience that always leaves me inspired when I get back home. Vegas in itself is an experience. 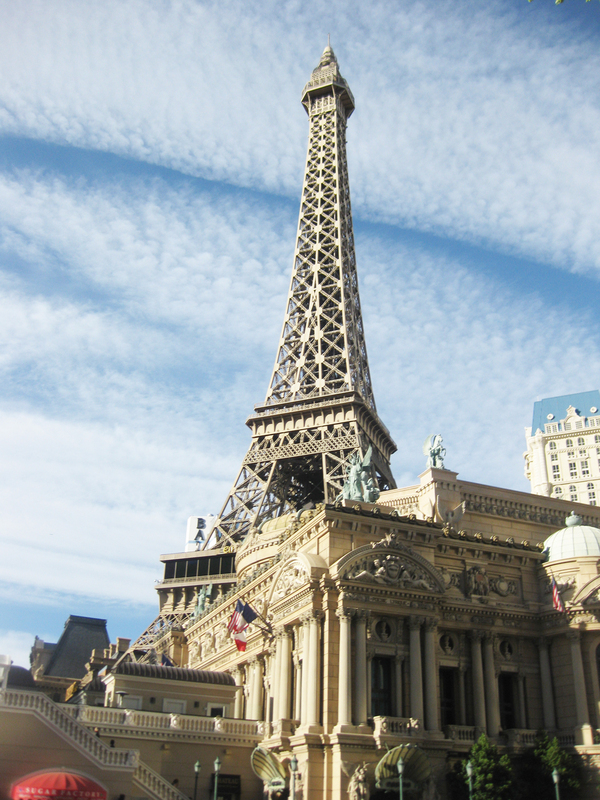 My mother and I walked through Miracle Mile, Caesars Palace, and the Bellagio hotel throughout our time in Vegas. We only had 3 days so we crammed everything into the little time we had. 1 day in Vegas felt like 3 days because we were up at 7-8am in the morning and didn’t go to bed till 12am at night. As soon as I got off the plane at 9:45pm I headed to the Palms (our hotel) to get ready for a shoot and we didn’t even get in until almost 5 in the morning. Bare with me as I have my tired face on in some pictures lol. This is just day 1 of our adventure in Vegas, brace yourself! This was our view. So pretttyy. Off we go! 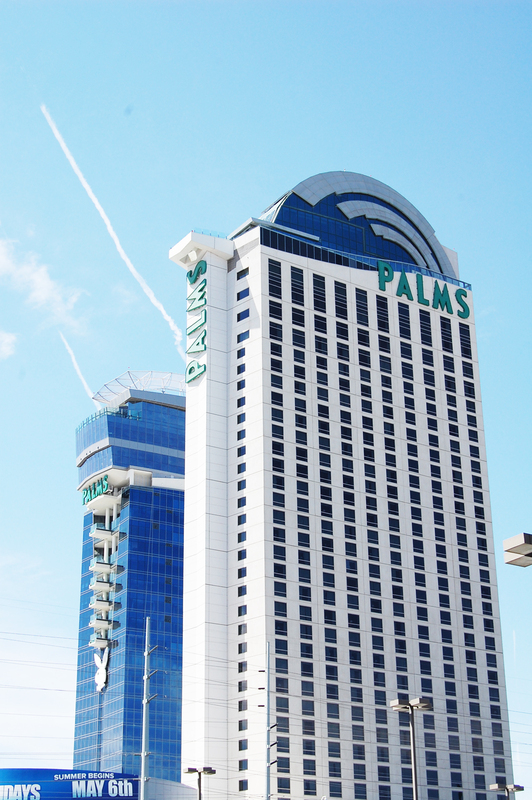 We headed to the Orleans hotel to get our VLV wrist bands and eat breakfast. Isn’t my momma the cutest?! I wore Betsey Johnson 75% of the time while I was at the convention. This is a red lace BJ suit that I paired with some vintage heels, a vintage purse, and a black straw belt. I love this woman! All we did was eat at buffets while out there! Oh man the deserts were yummy! Since there wasnt much going on at the convention on that thursday we headed out to one of my favorite shopping spots called……drum roll…Buffalo exchange of course! Before heading there we found a great Comic Book shop called “Alternate Reality Comics” and I couldn’t resist going in. I also couldn’t resist buying a Bettie Page comic I saw staring at me soon as I walked in. The owner of the shop was really cool and informative about some comics I was searching for too. Then it was Buffalo Exchange where I hit the MAJOR JACKPOT. I found some GREAT vintage pieces and finally felt like myself again. 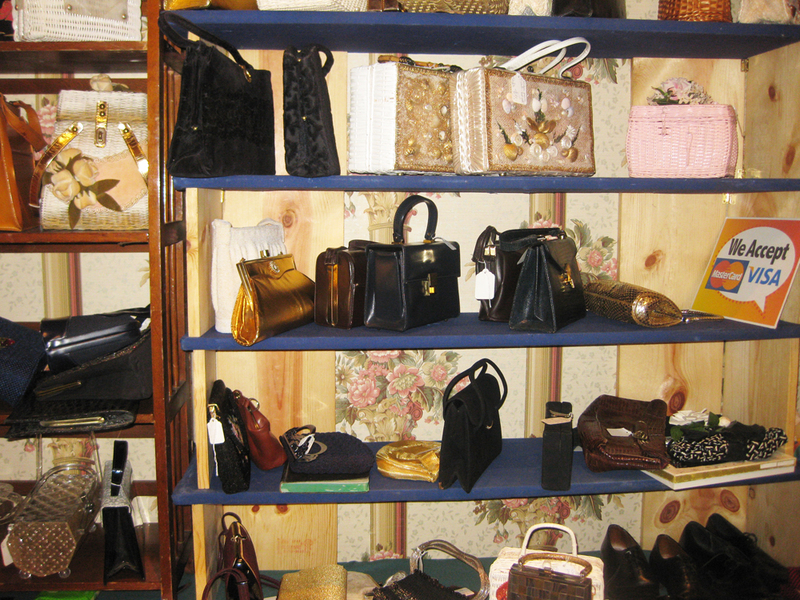 So many shops in NY are being robbed of their treasures and people are selling vintage for ridiculous prices. 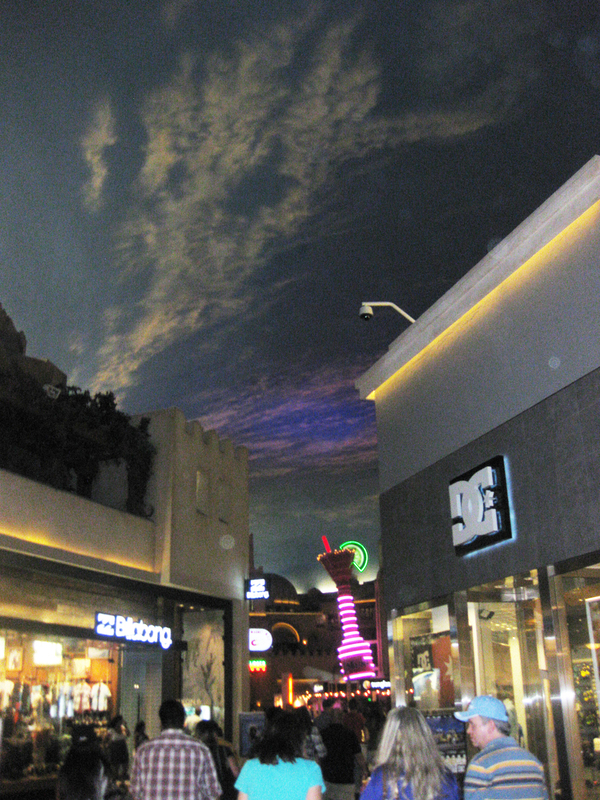 This B.E in Vegas had great vintage pieces for dirt CHEAP. This is a cropped fur jacket circa 1950s in magnificent condition. Just $15! This is an AWESOME vintage dress that needs a little fine tuning but fits great! Once I take it to my tailor it will look good as new! $15 This is a vintage 3 piece suit, I just love that I can do a lot with it and wear it in different ways by playing with the scarf. $15 This is a vintage peach dress that needs a little steaming but fits and looks great! $12 I love anything that reminds me of Spain, this jacket looks like something a stylish Matador would wear and I couldn’t resist it at $8.50! 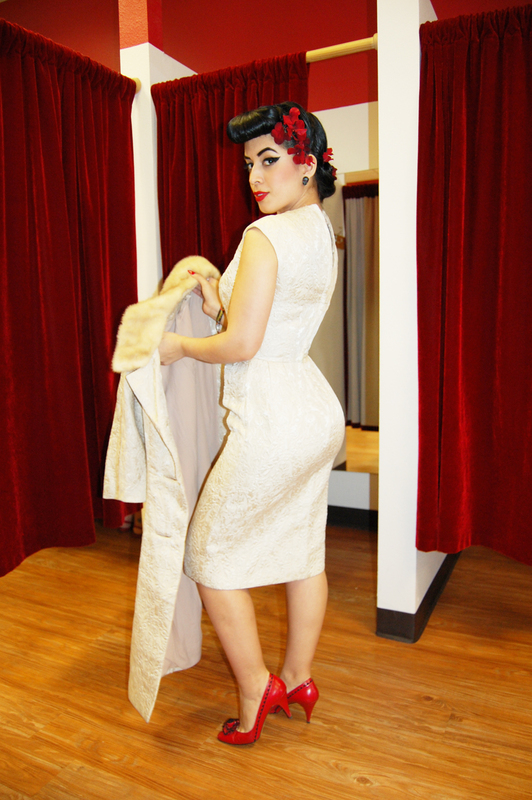 This is my FAVORITE; a 2 piece Vintage dress and coat set to DIE for. The colar of the coat is real fur and this Victorian fabric is thick and fits like a charm! I got this set for just $35 and I cant wait to wear it!!! Off to Miracle Mile! I found these really cool spectator pumps at Chinese Laundry but they were out of my size :(. 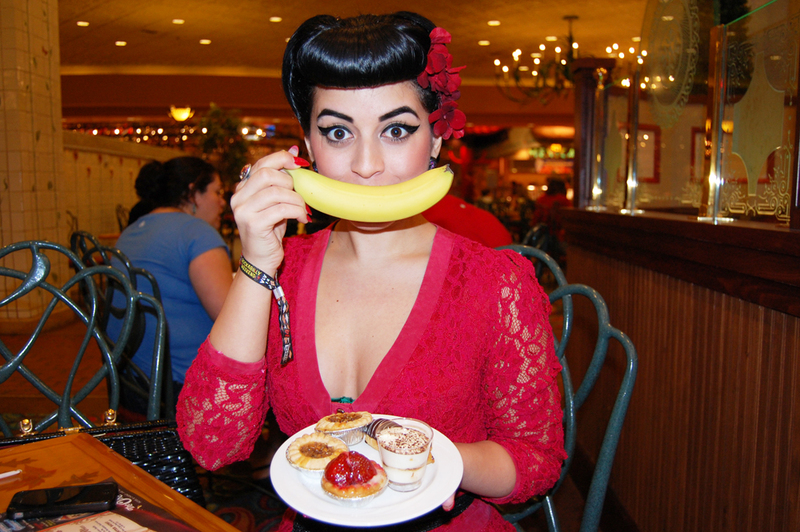 Bumped into the Bettie Page store when I was there and gaawwddd did I miss it! They have a cool jukebox in the front of the shop. I dont have much photos of my first visit but trust that this wasnt the last time I visited the Bettie Page store while on vaca! 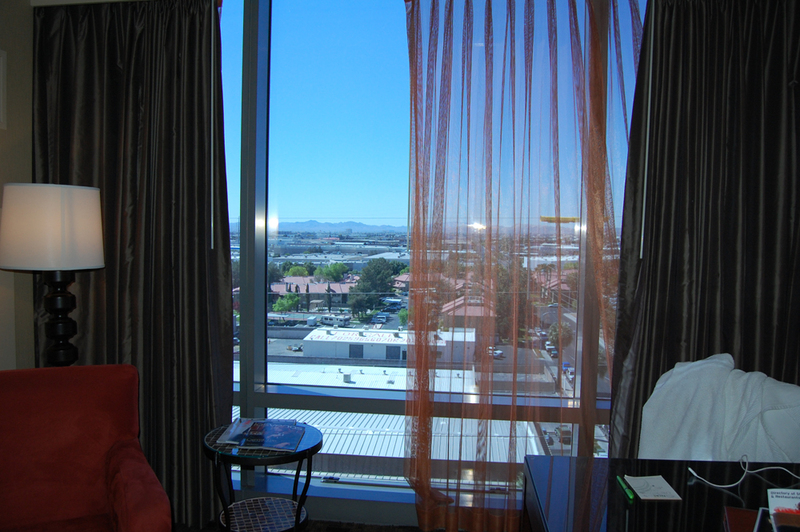 I showed my Mom around for a while then we headed back to the hotel to get ready to head back to the VLV convention to see bands play and check out the Vendors. 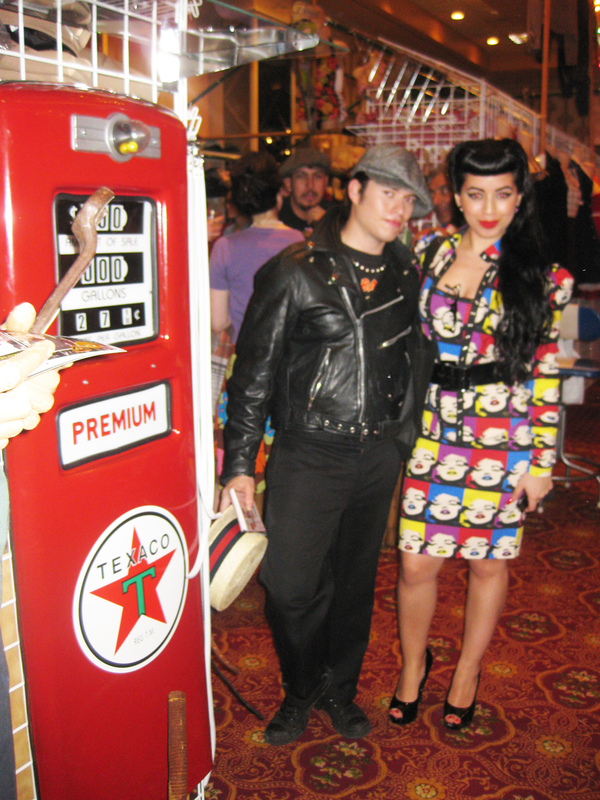 That night I wore a Betsey Johnson Marilyn Monroe printed dress with the matching jacket. I paired it with a black patent leather belt, bag, and shoes. It was one of my favorite outfits during my trip. Vendor time! 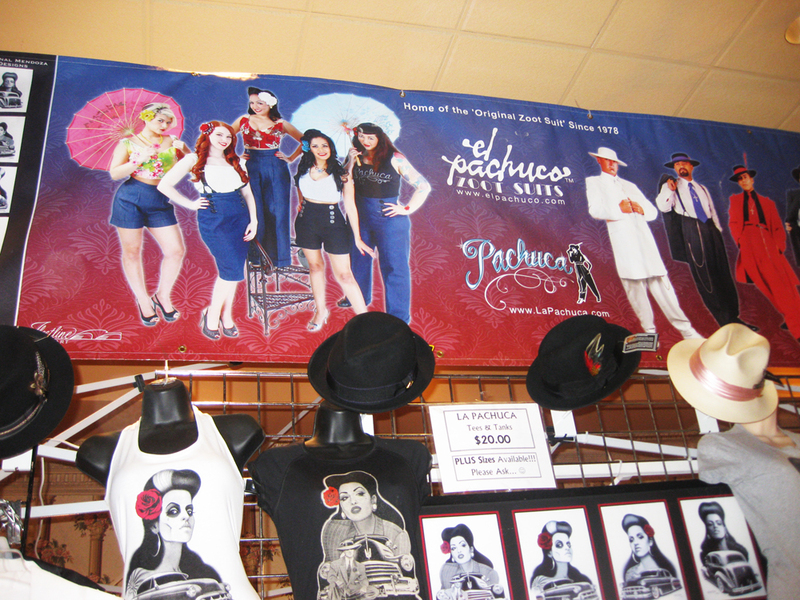 La Pachuca never fails to dissapoint me when I attend these rockabilly events. I always end up leaving with a tank or shirt with one of their characters. This time I left with this one, I fricken LOVE IT. My mother loves “Les Posh” after seeing the purse I purchased at VLV 2 years ago so she purchased 2 paintings for the house. There were tons of Vintage Vendors at VLV selling great vintage pieces but most of them were charging ridiculous prices for their stuff. After scoring at Buffalo Exchange earlier that day, suddenly it made these pieces and prices less appealing. I hardly bought anything vintage from the vendors. 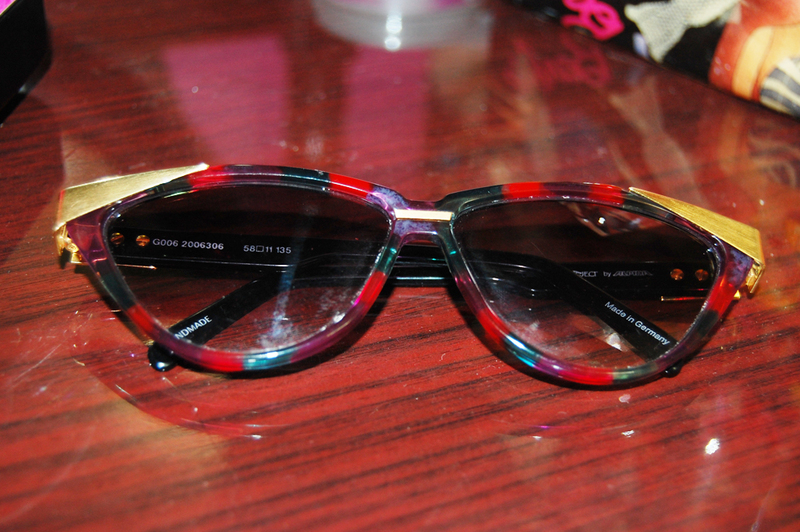 Dead stock vintage sunnies! At VLV there are 2 huge rooms full of vendors, this was the second. I was glad to see many vendors that cater to the men who attend this convention. 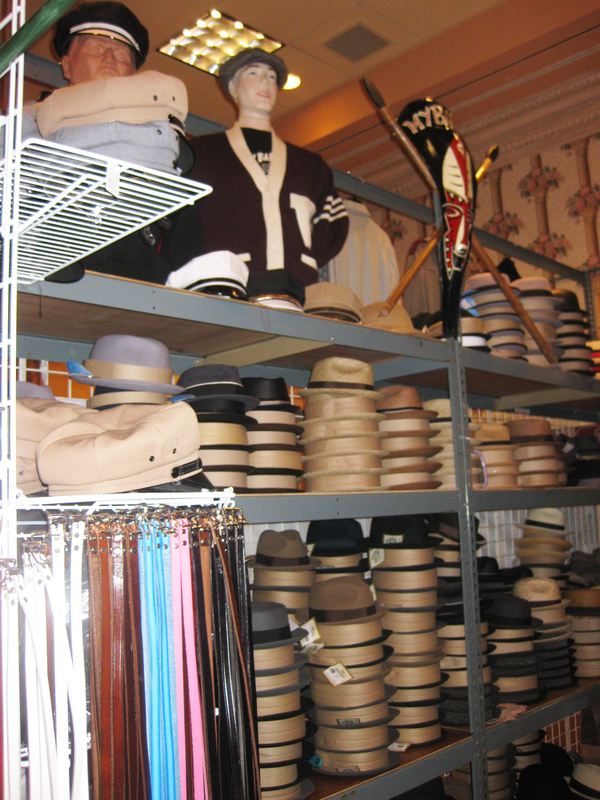 This booth was my favorite because it was full of great boater hats, fedoras, and captain caps. 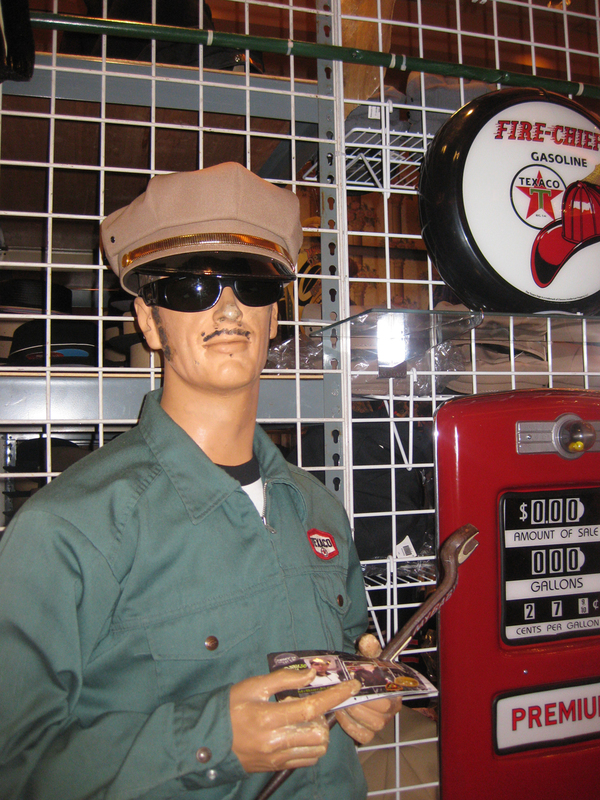 This guy was running the booth, he was very informative about the hats. I was drooling over the boater hat in his hand. 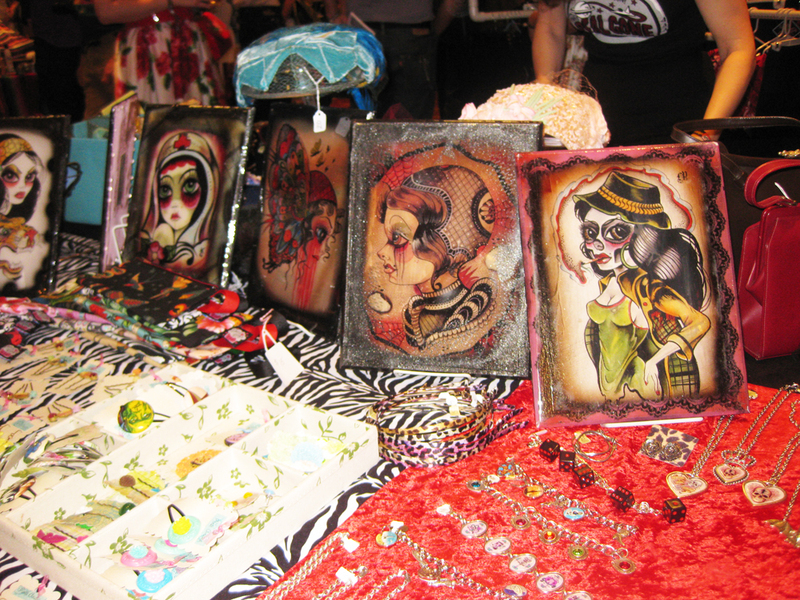 The artwork at the booths were awesome! I came across this Dead Stock booth with tons of great vintage frames and bought these really cool cat-eyes that were all different colors and had a gold brim at the top. They were one of a kind and I just had to have them after trying them on! Aren’t they pretty!? 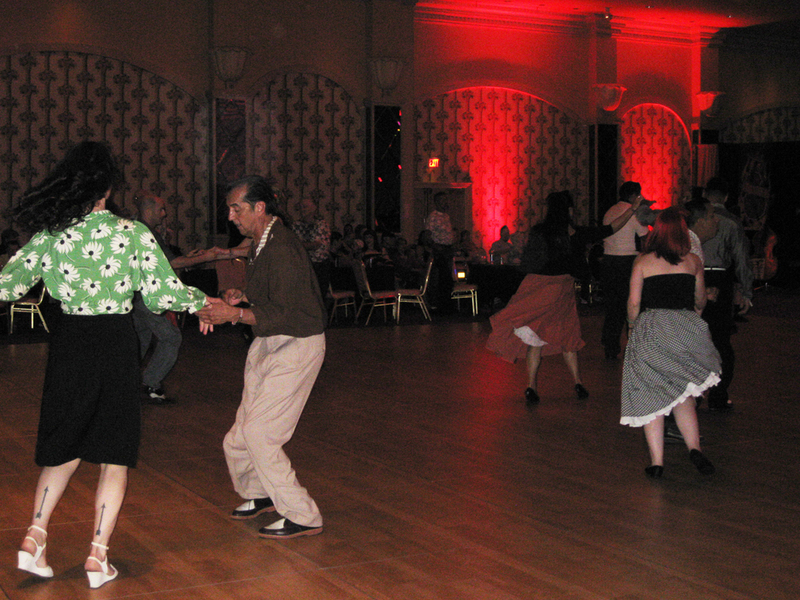 After the vendors we headed to the ballrooms to hear bands and watch people dance. it was awesome just watching how in-tune these people were with the music. Off to the hotel, we were exhausted! Stay tuned for day 2 of our Vegas Adventure!! Category: EVENTS, FASHION, FASHION ON A BUDGET, MY LIFESTYLE, PLACES TO GO, VINTAGE FINDS! ← Hanna gets Pin-ed up! All those pieces were such a steal, especially the 2 piece set with the matching coat–swooon! And you’re so right about the overpriced vintage clothing. I try to stay on top of any deals on ebay, and they’re getting ridiculous! I know some shops even have celebrity stylists buying up the best of the best when they could probably just buy out any store they wanted…hmph! It was such am amazing time, can’t wait until next year. I wasn’t as good at chronicling my journey with photos as you, but VLV 15 will be a different story, lol! Oh my!!! I can not believe how cheap those vintage dresses were!! Im so shocked!! I must check out that store next time I go to Vegas thank you girl! You look so beautiful in all of the dresses they fit you perfectly!! As usual, another terrific post. Can’t wait for the rest! 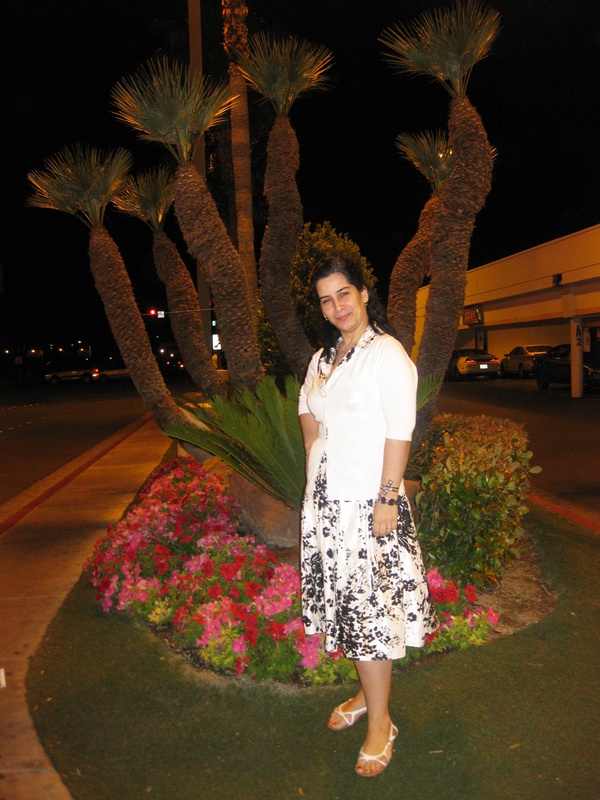 Missed VLV this yr. Can’t wait for next yr.
You and your mother look so lovely in these pics! 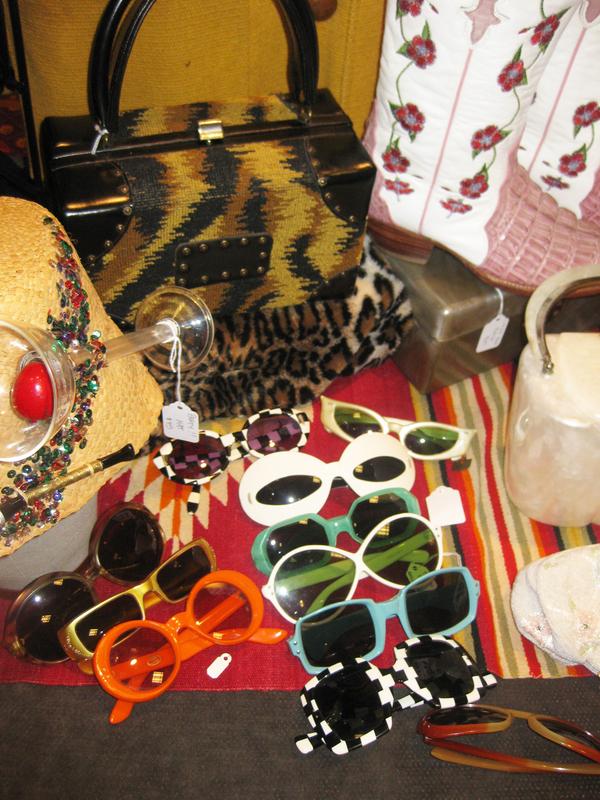 And those vintage items found at BE were a positive steal — I used to pay more as a dealer! I’m talking 15-20 years ago not recently, and I’d be buying in major bulk! Which just proves how nuts it’s been in the NYC area for some time ): Wish your mom a Happy Mothers Day from me! You and I have to get together SOON! How can I see more “les posh” art????!!!! Amazing art! Never hear/seen before, tried to Google but nothing came up.! Thanks for the great comments. 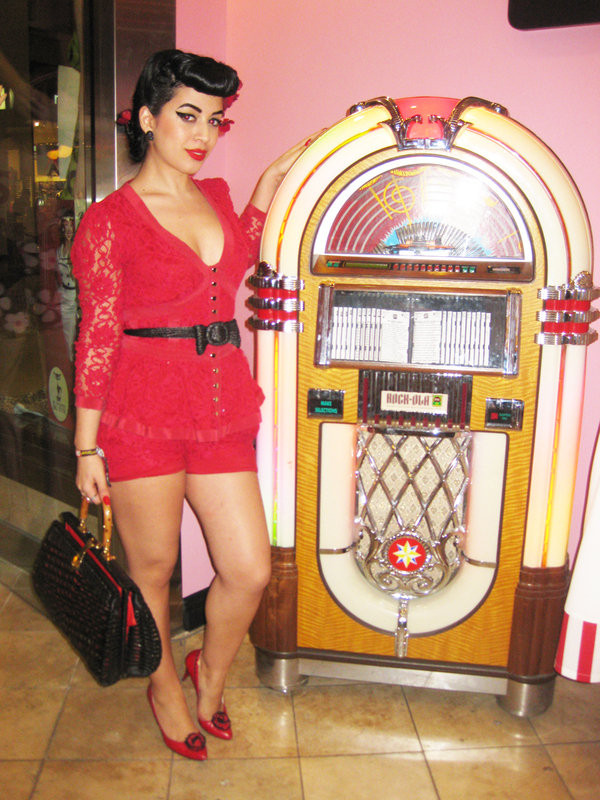 Jasmin and I had a great time in Las Vegas, can’t tell you how much I love to see her find such amazing vintage clothing. I picked up a couple of dresses myself that were in such amazing shape. The thing I miss most about my beautiful daughter, is watching her walk out the house in such lovely dresses. Hope everyone has a lovely Mother’s Day weekend. Those are some serious finds, congratulations! I’m planning to hit up Vegas this October because my friend is getting married there (it’s going to be a Star Wars/Pirates themed wedding !! ), but this looks like an event I’d definitely like to be down there for, too. Maybe until then I’ll be able to get my own vintage car and drive down there with some friends. I’m tired of always just admiring other people’s cars… just kidding, I love it. you look fabulous in all your shots, not tired at all!! i’ve never been to buffalo exchange…i must go to the one in Vegas this year! 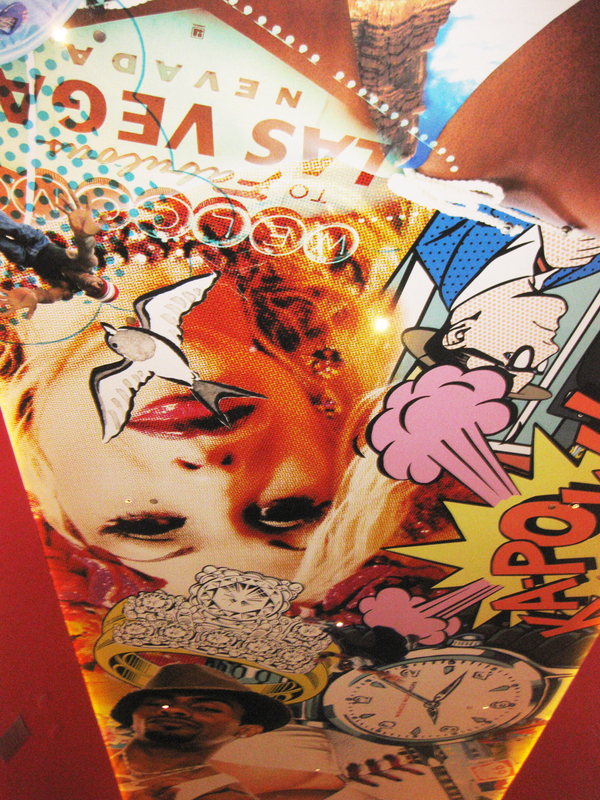 les posh art = amaze-balls! Fantabulous!!!!!!!!!!!!!!!! as always Love that Matador jacket ESPECIALLLY SINCE I JUST RETURNED FROM SPAIN!! and the Betsey Johnson goodies look fantastic on you!